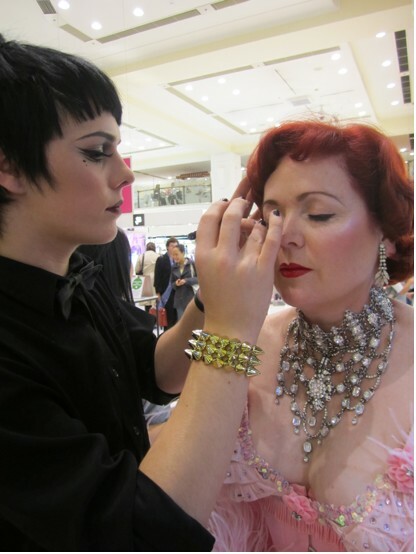 A lead up to Australian Burlesque festival! Last Thursday the 26th of May, the Illamasqua counter at Myer Sydney City was the place to be! 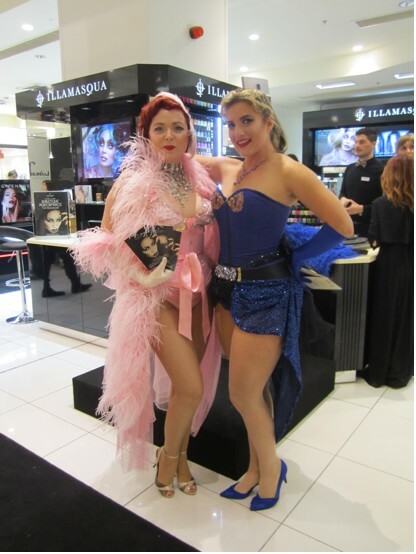 Illamasqua is the major sponsor of the Australian Burlesque Festival and our Sydney Counter hosted a special performance by the doyenne of Australian Burlesque, Sapphira, along with her cohort, Dolores Daquiri. I have a bit of a fetish for Burlesque, so I wasn’t going to miss this for the world! I arrived to see the very talented Illamasqua artists hard at work, transforming these lovely ladies into goddesses of the stage. Perfect winged eyeliner, flawless red lips, this was pin up girl make-up, Illamasqua-style. And here is Dolores again having her lashes applied. 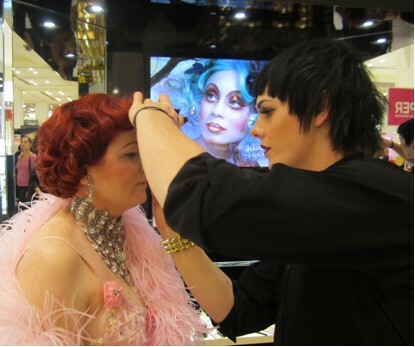 Of course, as you can imagine, 2 showgirls in full costume having their make-up done drew quite a crowd! Some, like me, had come specifically for the show, others I am sure were simply curious. Once their make-up was done, we were treated to a short performance by Sapphira, followed by the opportunity to chat with both dancers. 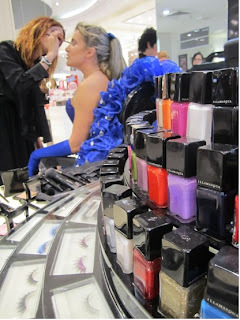 It was fabulous fun, and if the Sydney workshops had not been booked out, I would definitely have signed up for some! If you are in another Australian state, make sure you check the website at http://australianburlesquefest.com for more details about the festival! Thank you to Sara-May for the story.